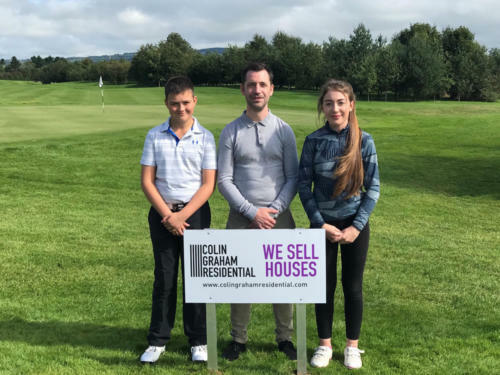 Jack McMenamin picked up the much sought after top prize in the 18 hole competition sponsored by Glengormley based estate agent Colin Graham Residential. 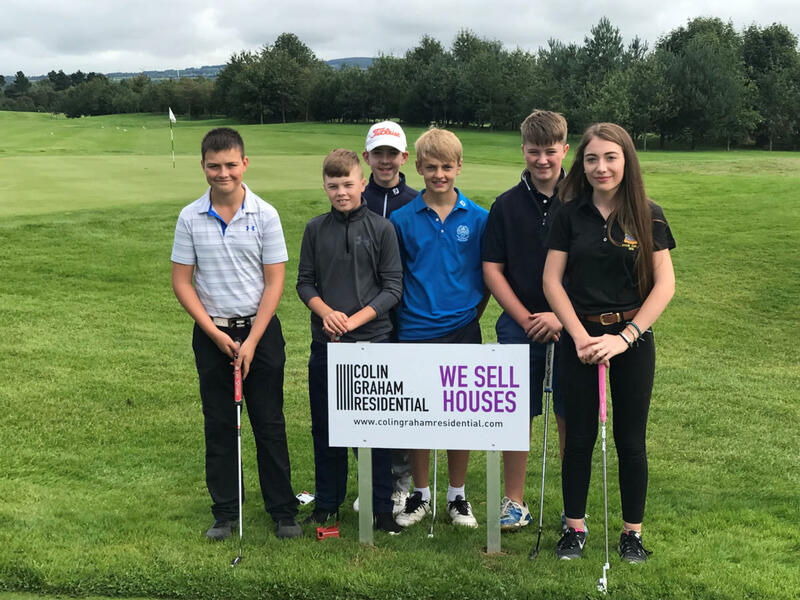 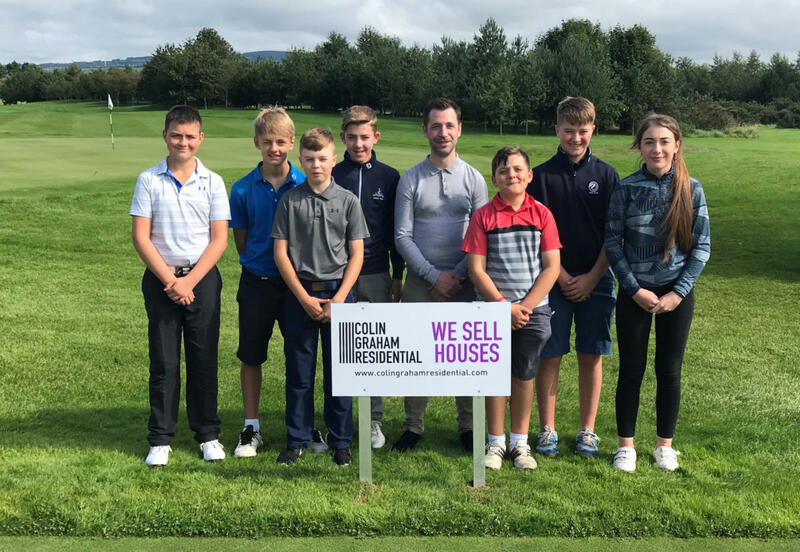 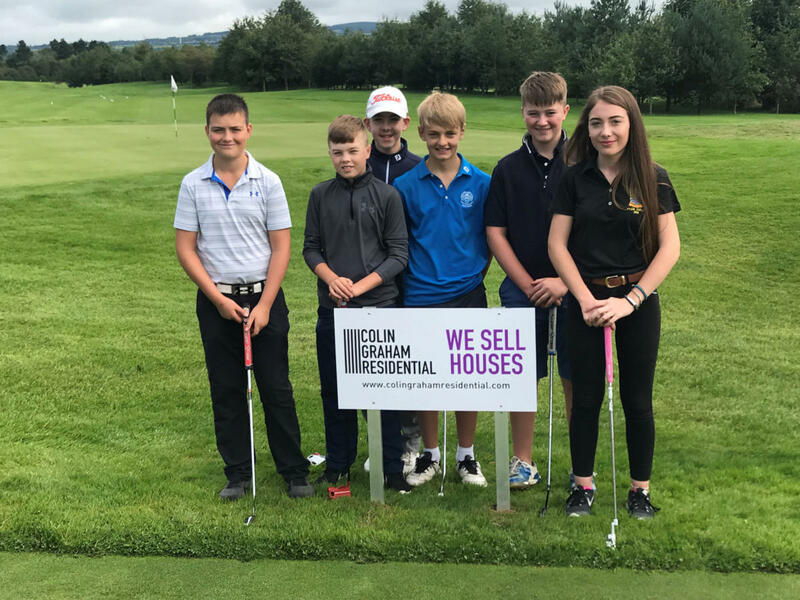 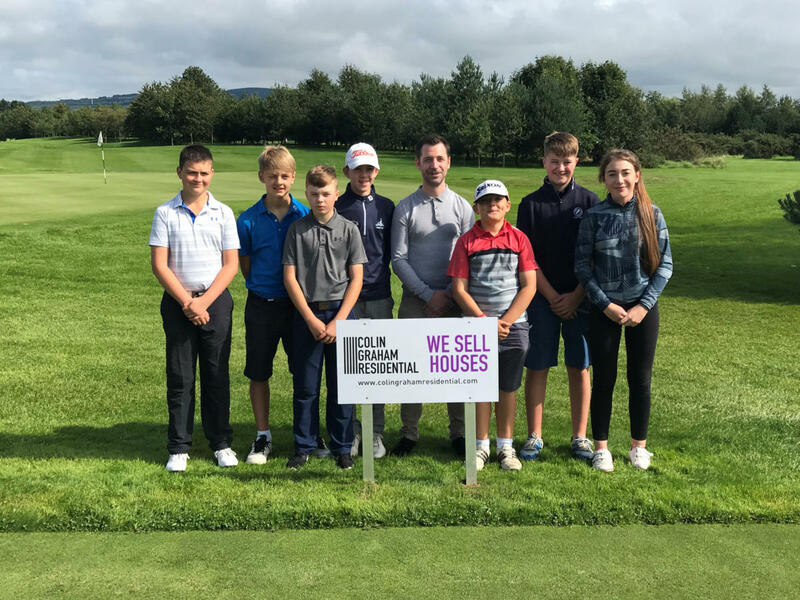 Main sponsor, Colin Graham, was delighted to support the juniors and wished the groups the best of luck as they set off from the first tee. 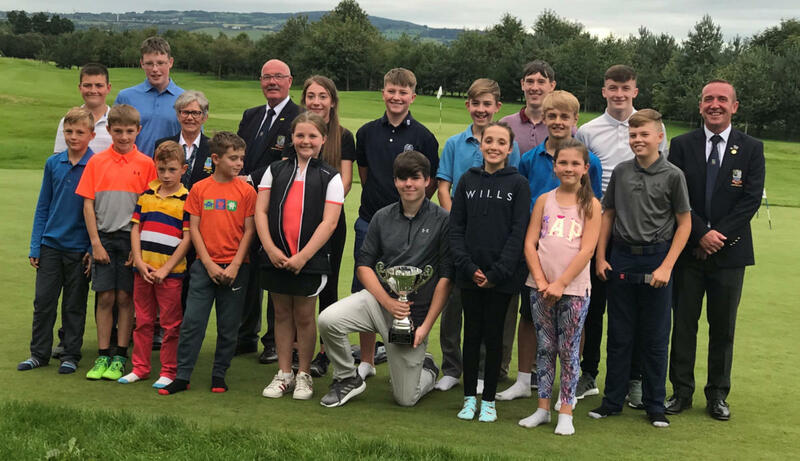 Winner Jack McMenamin also picked up the Antrim Golf Club Junior Captain’s Day trophy kindly donated by Rachel McAuley Hughes. A closely fought competition saw Kain Walker and Ben Anderson picking up the respective second and third prizes. The R Elliott and Sons 9 hole Red Group showed lots of promise with Will Chambers winning the section. Jonny Chambers and Seth Park followed closely behind picking up some highly sought after prizes. 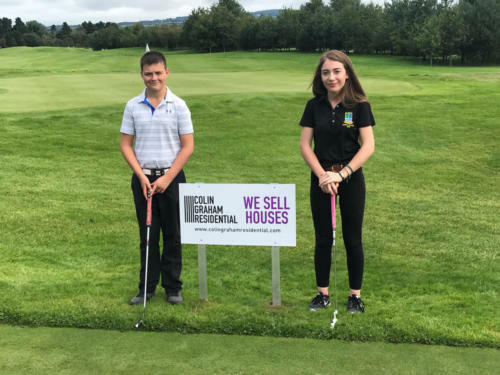 Ballyclare based builders merchant, WJ Scarlett and son kindly provided prizes for the second group of junior competitors with Caitlin Hanna taking the top spot. 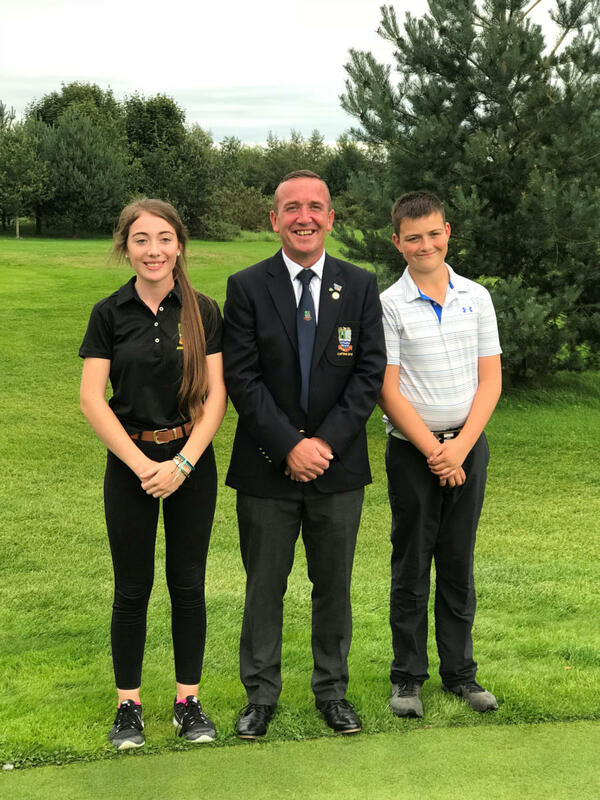 Second place was picked up by Farrah Park with Matthew Hood in third. 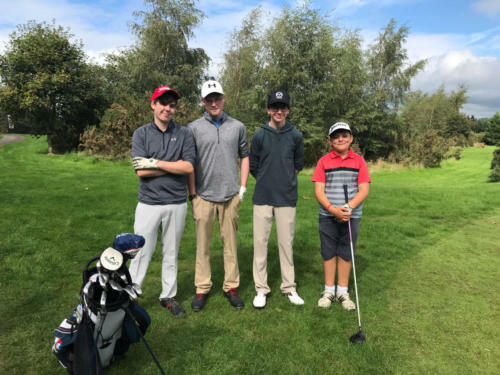 Crothers Concrete Services sponsored the Longest Drive Competition with winners Jack McMenamin, Daniel Waring Farrah Park receiving club covers and balls. 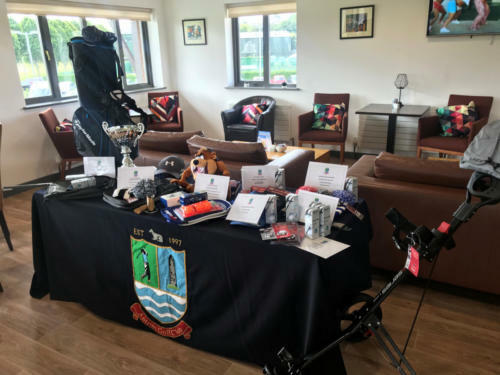 Prizes for the Best Front and Back Nine were also kindly provided by Crothers Concrete Services with Joel Flynn and James Hood taking the honours. 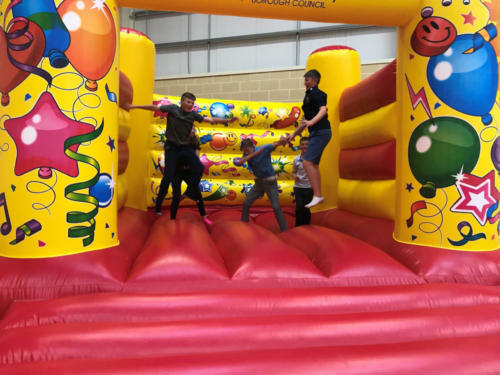 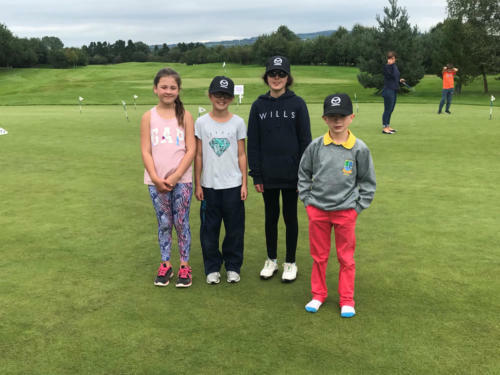 Farrah Park, Alexander Park and Rory Harman also were in the prizes in the Nearest the Pin Competition kindly sponsored by Mr and Mrs RJ Elliott. 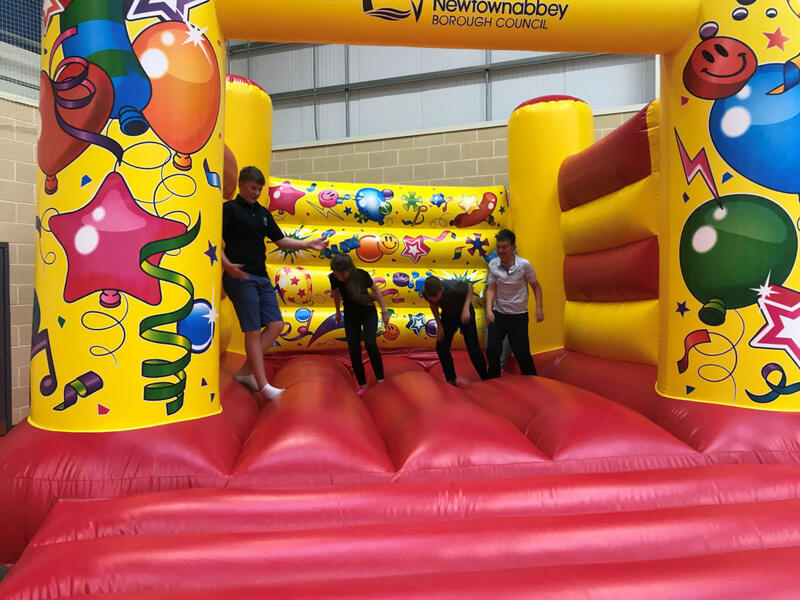 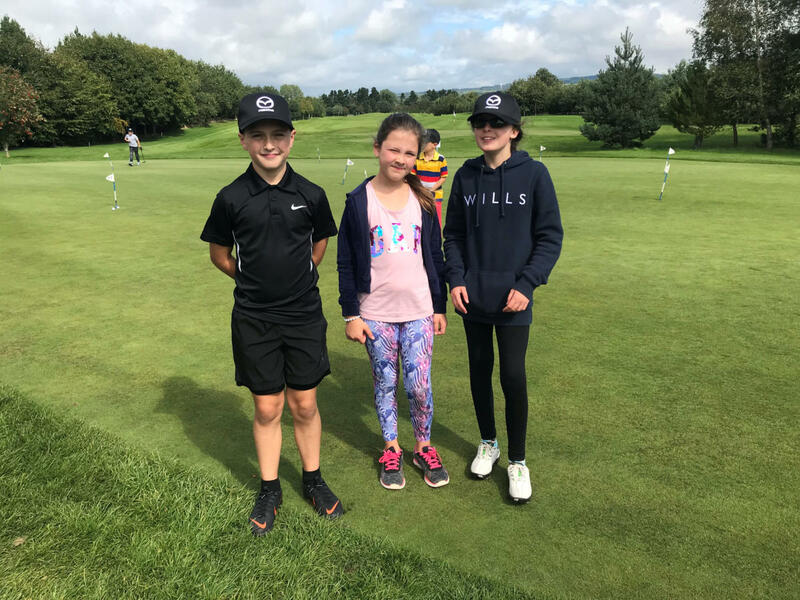 The final prizes of the day went to the winners of the GH Decor Putting Competition with Kaya Holmes, Cora Nicholl and Rachel McAuley Hughes in the top spots. 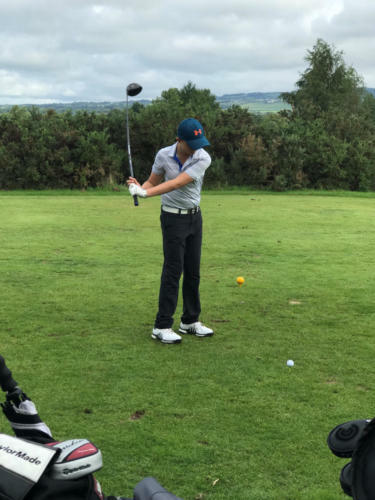 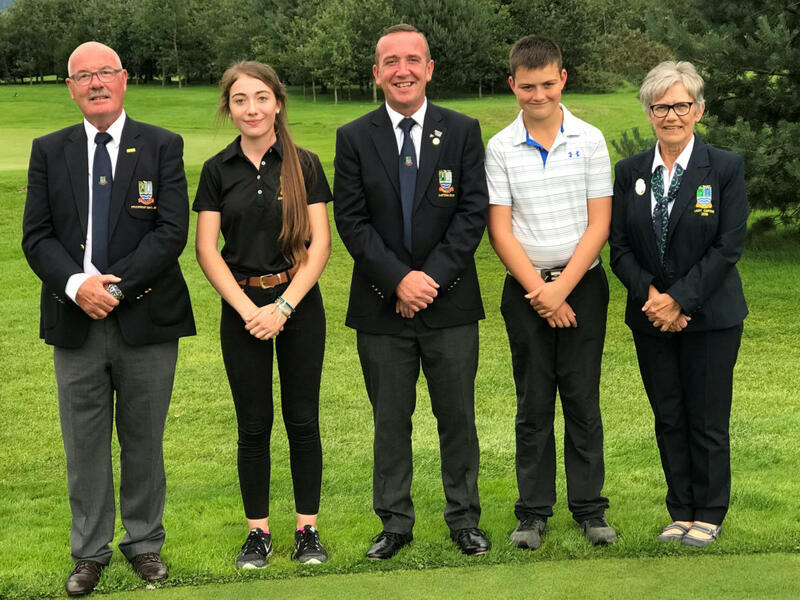 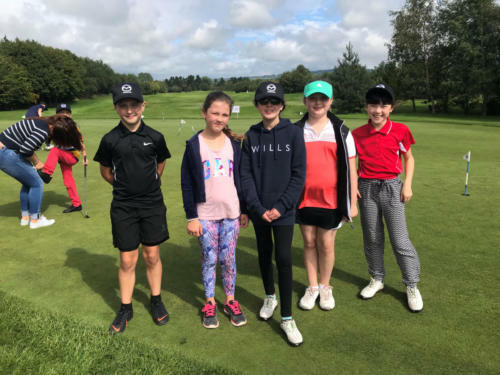 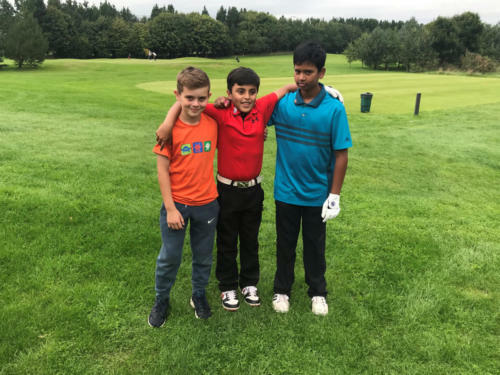 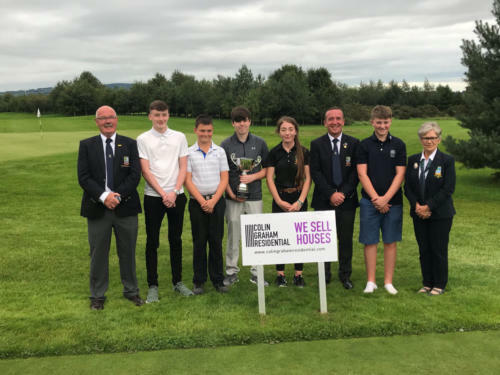 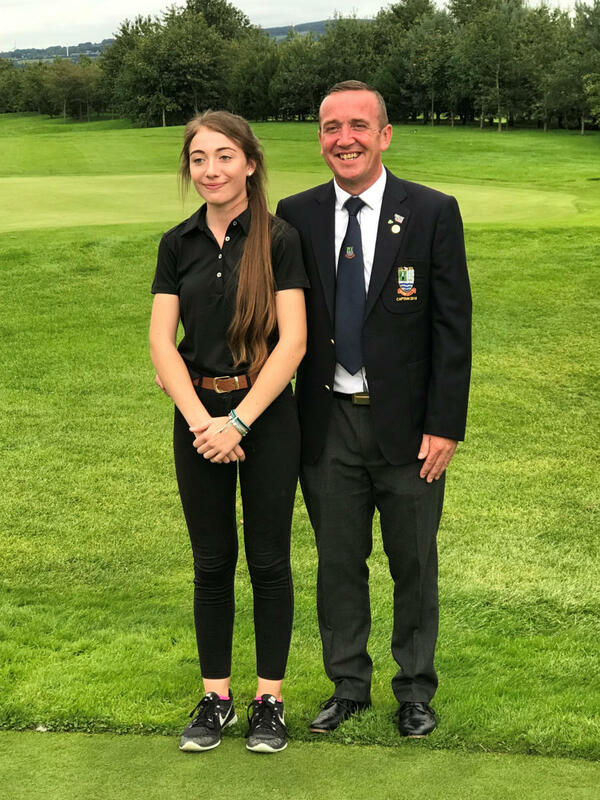 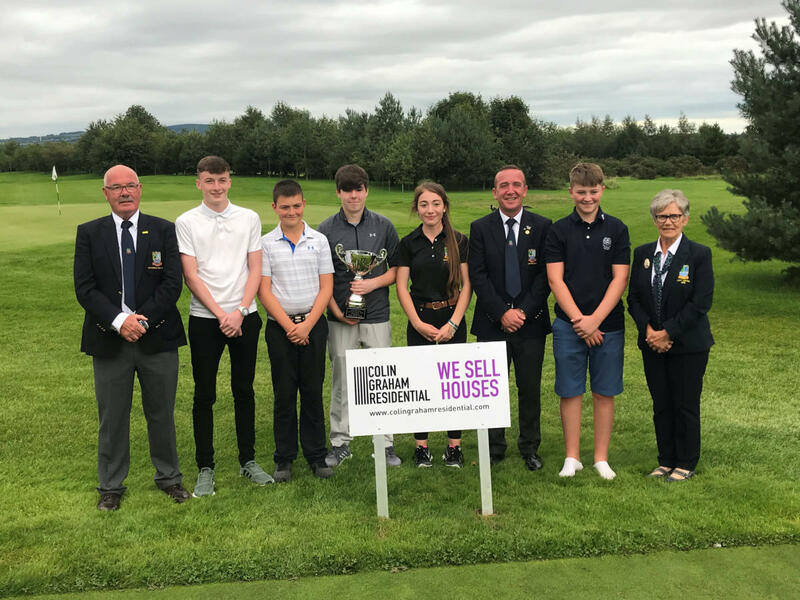 Antrim Golf Club Junior Section is going from strength to strength with some impressive results from members at competitions throughout Ireland this summer. New members are always welcome and Professional Peter McCarroll’s Junior Golf Academy every Saturday morning at Allen Park is the perfect place to start. 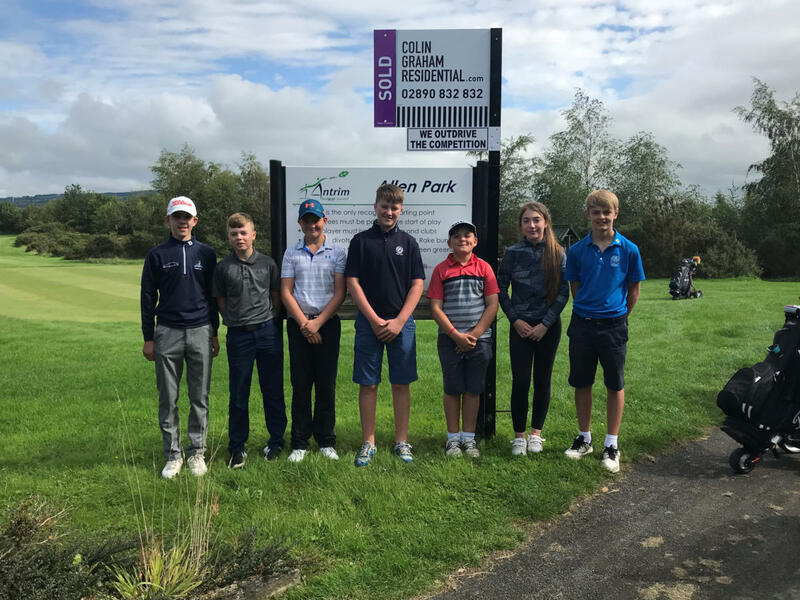 Both Antrim Golf Club Junior Section and Peter McCarroll can contacted by calling Allen Park on 028 94 429001. 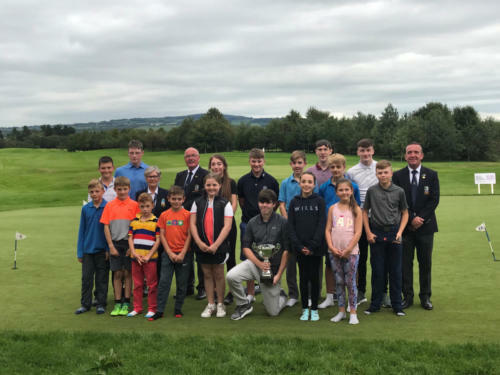 What an excellent day of golf we all enjoyed on Junior Captains Day. Junior Captains Josh and Rachel are to be complimented on the maturity and commitment which they show not just on this day but throughout their year in office. And to all the junior golfers at Antrim GC it was a pleasure to see the fun and , while very competitive, the sportsmanship , you all showed .